If you are a brave knight, protecting the innocent miners, what ship you choose for your noble quest? Hint: not something that has 1/5 as much HP and 5x higher value than the Retriever you camp! "If you can't stop the gank, you can still stop the looting!" - this could be the slogan of these brave knights: I did not touch the looter pilot for an hour of course while they camped. Totally religion discriminating. Looks like the moron maintains their "Christian" beliefs. Only Morons use Crusade or Jihad to describe these knighthood crap. 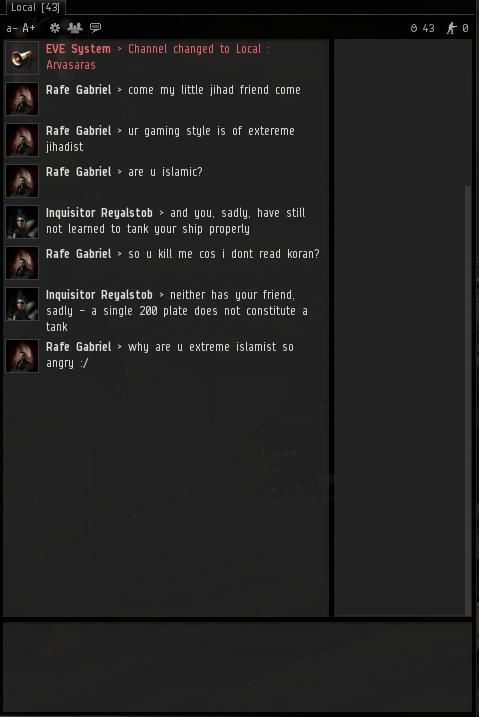 The first large-scale suicide ganking campaign was karttoon's jihadswarm. Gabriel got ganked by an Inquisitor and calls him jihadist. 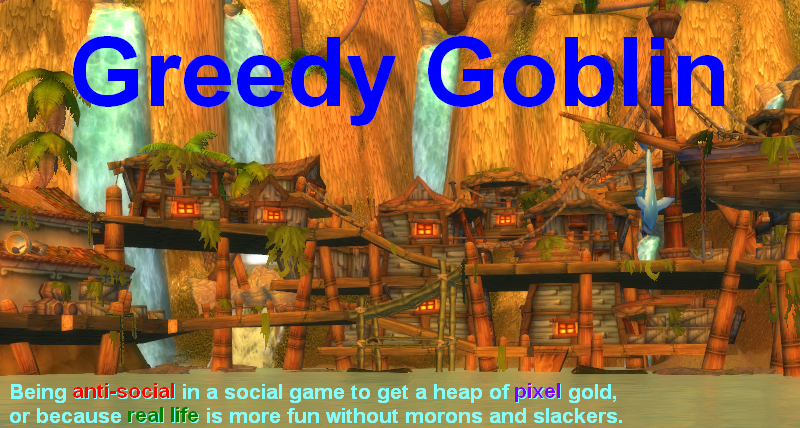 it is in so many ways wrong that I would post it too if I had something dedicated going on like Gevlon and his blog.